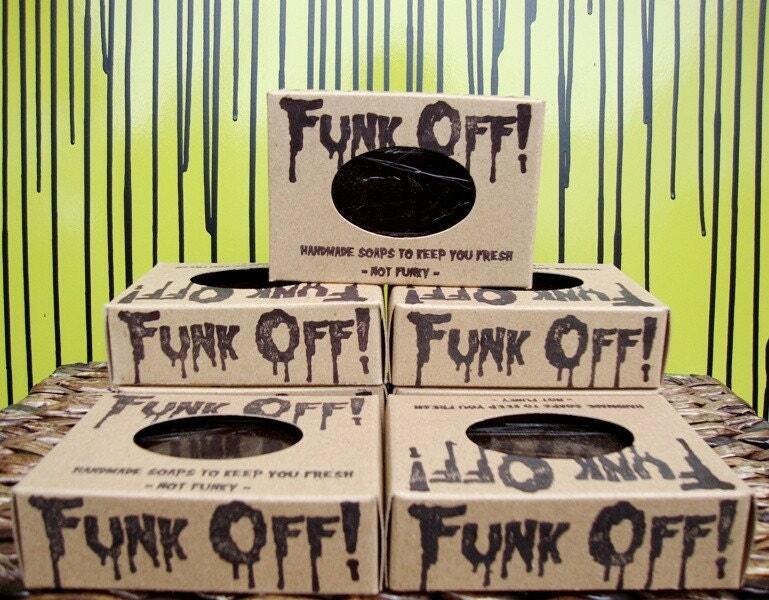 ♥elycia: Product Review - Funk Off! 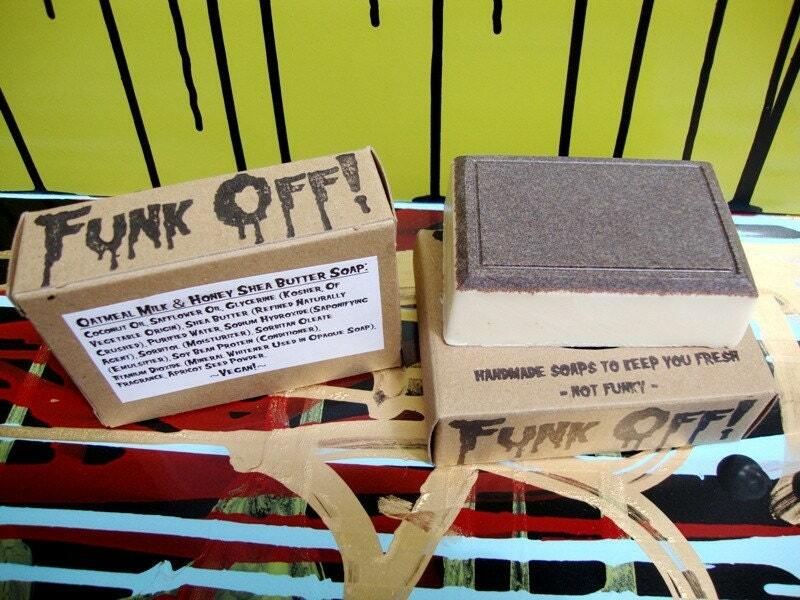 Product Review - Funk Off! when michelle contacted me about about doing a product review for Funk Off! i was beyond excited. i had been eyeing their yummy looking vegan bath & body products for quite a while. the day my Funk Off! package arrived i smelled it before i saw it. seriously! i could smell it as soon as i approached the mail box. so yummy! before i even get to the amazing-ness of the products themselves, i will start with the packaging they use to mail it. Funk Off! uses recycled packaging, which i love so much. it is so much better to reuse envelopes and bags for shipping than to buy brand new stuff. much better for the environment! Funk Off! makes amazing soaps! i was definitely a body wash person...but i think i have been converted. their soap comes in so many amazing scents (we got a little sample of each) and my favourite part is the exfoliating layer on the top of each bar. ivan and i love all of the smells we have tried so far and we have a lot of fun picking out which one to try next. we also enjoy saying "smell my arm, isn't that delicious?!" after a shower, hehe. i think my favourite scents are "Moon Goddess" and "Oatmeal, Milk and Honey". Sooooo delicious. The oatmeal one smells so much like Christmas to me. Ivan also loves "Moon Goddess", haha. the "Vanilla Blackberry Sage" soap is incredible too...that's what i used last night and i can still smell it on my arms! really...they all smell amazing. The Later Gator lotions are incredible too. the lotions i have are "Vanilla Blackberry Sage", "Oatmeal, Milk and Honey" and "Cool Mountain Moss". they all smell fantastic and the lotion is not too thick or thin. it is juuuuust right :) It goes on very nicely and my skin feels great after i put it on. also...the smell is not overpowering but it lasts for a long time...like a reallllly long time. perfect. The Kiss This Lip Balms are also great. i need to stock up for winter! There are so many amazing sounding flavours that i need to try. The balms are delicious and not at all gritty. They go on so smooth and are very moisturizing. I tried "Spearmint" and "Zen". The spearmint one is very strong and makes my lips tingle, in a good way of course. My favourite though is "Zen", it tastes amazing. Finally, the Keep it Fresh Body Sprays. Michelle told me they can also be used as room spray, fabric freshener, etc. i have "Lavender Vanilla" and i love it. I get lots of compliments on how yummy i smell. it is definitely one of my favourite scents...ever i think. it smells more natural than regular perfume and the scent lasts a really long time (just like the lotions!). Ivan has been using the "Sapmoss Bonsai" spray and it smells great too! to quote ivan "it makes me smell like i'm clean". haha. (don't worry, ivan is a very clean and non-stinky individual...this just makes him smell even better). so to summarize...i love Funk Off! Michelle and Chad have gained a lifelong customer for sure! it is becoming more and more important to me to use only vegan products and people like Michelle and Chad make it so much easier and so much more fun to choose cruelty free products. 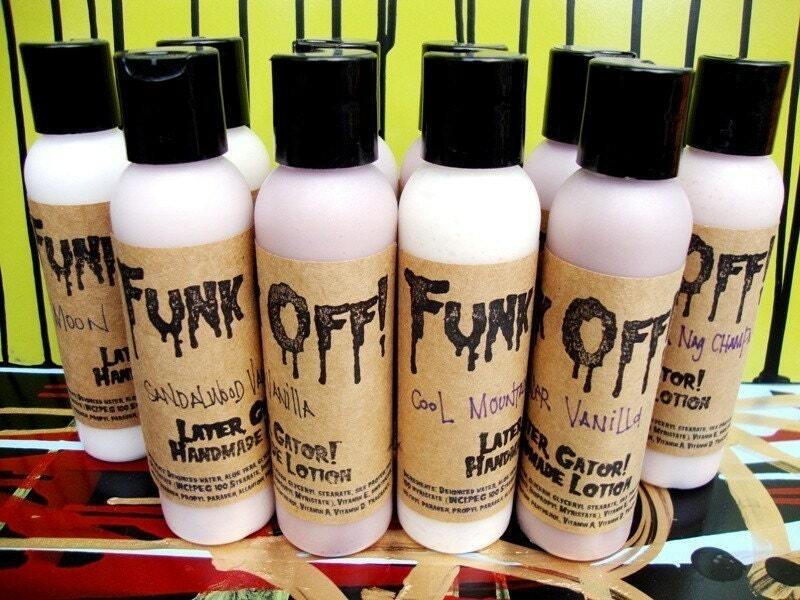 i would highly recommend Funk Off! to vegans and non-vegans. it is awesome. ALSO...I contacted Michelle to tell her that I would like to buy some Funk Off! products for the winner of the Veg Out draw. Michelle was generous enough to donate an additional lotion and lip balm to the prize pack :) thank you so much! the winner (the lilac rabbit) can choose their scents! 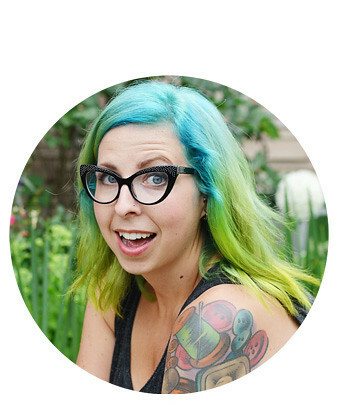 Thank you so much Michelle and Chad for asking me to do a review...i think this may be my longest blog post ever. i just couldn't stop gushing. Well done. I am going to check it out even further. Looks amazing and the way you describe it, makes me feel like I will not be happy until I try for myself! Michelle's stuff is AMAZING! So glad to see her freature here! Oh! I have this obsession with soap and lip balm - would love to try some of this! The packaging alone looks amazing! I'm been gearing up to buy a ton of this stuff for xmas gifts this year. Love the name alone! The layout of those products looks great! F>Y>I She make jewlery too ladies..So you will smell good and Look good!